BSN, St. Louis University, St Louis, Mo. Michelle has been practicing pediatric nursing since 2009. She has been a staff nurse in the Pediatric Intensive Care Unit and Pediatric Urgent Care Center at Children’s Mercy Hospital in Kansas City. She has also cared for adults and children in the Post-Anesthesia Care Unit at MU Women’s and Children’s Hospital. Michelle is interested in all aspects of pediatrics, from well-child care to high-acuity critical patients. Michelle has also participated in and coordinated several medical mission trips to Honduras. 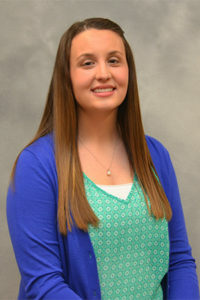 Michelle completed her MSN with a Pediatric Nurse Practitioner Specialty at MU in 2014. Michelle was raised in St. Louis, MO. She enjoys traveling, swimming, and spending time with friends and family, including her husband and young son.